Please, no more new Outfits, we need armor sets - RIGHT???? I Don't mind outfits, but I prefer the mix and match of armors. But, sometimes I might purchase an outfit. I just wish that they could be simpler like a little less Effie Trinket and a little more Black Widow. A little less Ruby Rhod and a little more Snake Plisken. A little less RuPaul and a little more NPH. Swag can be simple and sleek. Not every piece needs to look like it escaped from Carnival or an 80's sci-fi B movie. Though I wouldn't mind an outfit that looked like Dr. Frank N Furter either. Realistically what are our options? Believe the reasons given by the people who actually do the work, or assume they're lying to us because someone on the internet with absolutely no experience or knowledge of how it's done has declared that it should be easier. In any other situation like that who would you trust? If a pilot said he has to cancel a flight because it's too dangerous to fly in the current weather conditions and a random passenger says they don't think it's that bad and the pilot clearly can't be bothered to make the trip would you believe the pilot or the passenger? Yes never believe everything u hear believe what u see. "Trust but verify" is indeed a good policy. But what exactly is it you think people see that contradicts what ANet is saying? Why do you doubt that? Do you have experience with creating an MMO? With releasing massive amounts of code that cover some 50 maps, 1000s of loot tables, 1000s of animations? With designing armor that has to work for 10 different gender+race configurations, with mix & match with all existing armors, with all existing animations? On the contrary, one statement is based on professional expertise and one is based on personal belief. I already gave an example 1 expansion need 2 years to make for Anet 2 armor sets 18 months arcordiing to Anet an outfit need how long 1 months ? The game started with how many armors at core ? U tell me they worked 10 + years on armors before release ? When a company makes a game like this they hire as many people as they need to finish the game in the time allotted. They take on debt and hope to recoup at launch. That’s what ANet did also. They hired a large number of temporary contract workers whose job ended when the game finished. They didn’t make a complete MMO with 200 or so permanent devs. Plus how many people are hired for outfits ? Vs how many are hired for armor design. Why u trying so hard all ur arguments like yeah they need 9 months because they only have one guy do all the armor so hire more ! The real reason they don’t do armor is mix and match what makes it harder to sell armor on a periodic base. Outfits u wear u get bored u buy a new one. It’s just they found out that this format make people buy more. Edit again and even with outsourcing armor design for core game where are the 9 months come from? When people say 9 months it comes from this quote. Armor sets are by far the most expensive reward we can make. A full set includes heavy, medium, light, times five races, times two sexes, so it's like developing 30 sets. It takes nine months to develop. (That's for a normal armor set -- legendary is much longer.) It's not something we can do for Living World episodes. Individual pieces are good rewards for Living World episodes; full sets are more something for expansion packs. I see here that a full set takes 9 months, and that means including all three armor weights. If ANet designed only one weight then they could release them on a 3 month schedule, which would match LS release schedules. I'd personally be totally fine if they released one armor set on the gem store with each LS release (instead of a single piece which is acquired in game), but apparently the vocal playerbase asked or this release method instead. We all want more armor sets. I think that you may be misunderstanding the discussion? It isn't that we don't want more, it's that we've already been told why Anet is producing them the way that they are now along with the reason for doing so and some people appear not to accept that. must... fashion wars... need... armor sets!!! Good thing no one is fighting hard against the people who want more armors. Folks are pointing out the economic realities. Dont really care much about it.But i do wish them to get off the "Heavy armor needs to be bulky" mindset. The real reason is that players complained about selling armors in the gemstore and it was discussed that armor is better to earn in-game as rewards. But when you have a business model of making players pay for some cosmetics and earn some in-game, you don't merely stop selling and only offer them for free, you replace them with something else. And that's how outfits manifested. This is the reason I've read many times ever since I started playing some 4 years ago. That's quite some time. I wonder if people would still mind cash shop armor sets that much. I'd certainly welcome more armors in gem store. 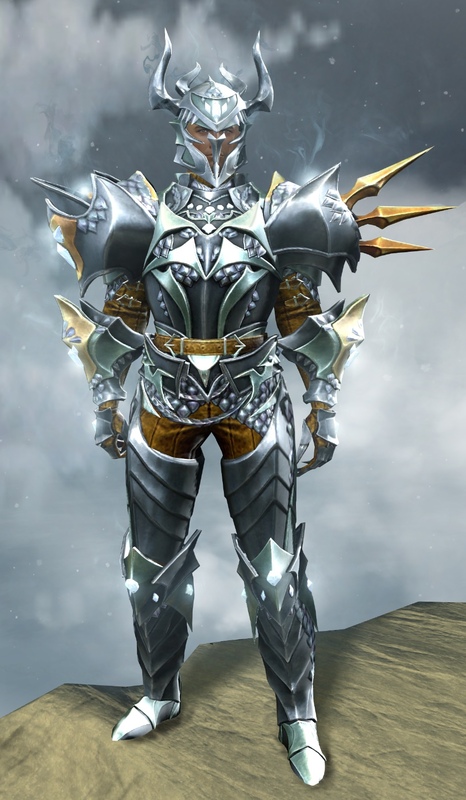 Not necessarily full sets, but what about individual chest pieces and pants too? Or how about full sets coming piece after piece? And there could be some re-uses of already existing sets - worn version, plainer version, various lengths of sleeves or something like that. There sure are some armors I'd like far more with a few tweaks here and there. An armor creation tool for the community will never happen. Releasing creation tools in a MMO is something very rare for various reasons. And in a MMO whose main cash cow is selling overpriced cosmetics, a creation kit would be like shooting themselves in the foot. I wish it was possible though because I bet the community would take far less than 9 months to pump out some amazing stuff. Not really fighting. Maybe to the individuals with a seething hate for outfits of those that like outfits. To normal customers that simply buy the stuff that looks nice to them and pass on what they don't like rather that trying to tell others how to spend their money, this is just another thread. If you really want more armor, just ask for more armor. Better yet, have some ideas of what it might be inspired by. No point pushing your "stop making outfits" agenda. I didn't mean you could make an armor and wear it right away. The player-created skin would be submitted to Anet and they would decide whether it's good enough tobe sold in the gem store or not. And the creator would get their own skin for free. Or some gems or whatever. Or they could turn some of the already existing outfits into armor sets.. easy hanging fruit you would think. I would like to see new armor, i dont personally buy outfits. I prefer to build a set instead of all the same set pieces. There isnt a lot of variety in armor would like to see new sets added in the game as drops or vendor. Weapons too but my beef with weapons is the drab style and colors, at least let us dye them. I never want to feel as redundant as this forums search function. Getting full armor sets has become a rarity but it's been like this since years now, and as much as I'd prefer armors over outfits, I doubt we will see change here anytime soon. We're lucky we get armors at all at this point. We just got two new full sets of armor during LS4.4. ANet tells us it takes around 8-9 months per set, with only modest savings by using similar skins (since the bulk of the work isn't the original design or the initial rendering; it's in getting all the details right). 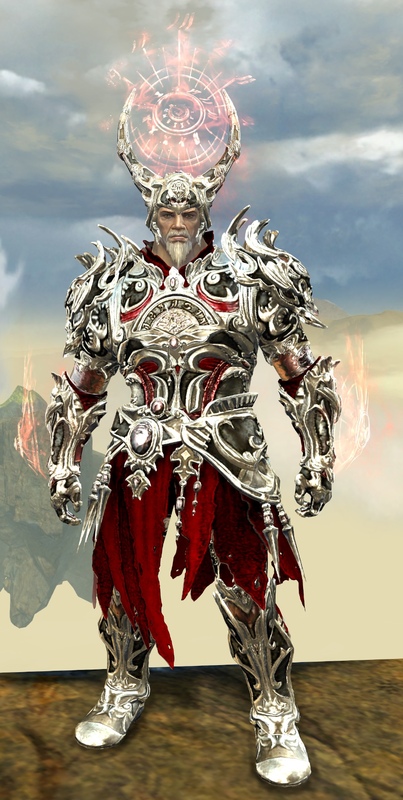 According to ANet, even the devs would love to see more armor skins in the game; it's just not a realistic goal, as long as the skins are as rich & complex as the ones we've seen so far. Also giving new armor sets as actual in-game rewards is by far the better way to do it. But does it really have to be the only way? There could be pretty elaborate sets as in-game rewards and simpler, plainer sets in gem store. There seem to be people who would appreciate a simpler style but it's not suited to be a reward very well due to not being "shiny" enough. Nah. It's just that GW2 has a smaller team on that stuff + there are more important things to do for them. Considering they can't just copy paste from humans to the other races etc. Why would anyone in the community push back against this? Its not an economic reality when there are other games that are able to continually put out new skins and outfits. It's just not a priority even though players ask regularly for it. Ideally Anet should do a survey and find out what majority of the player base wants. How many of those "other games" are subscription based? That's what makes this an economic reality. You realise the post you just quoted is over a month old, I hope? It's quite possible for armour skins in GW2 to require more work than other games where all races and weight classes share the same rig. Indeed, that's the reason why conformity can be a good idea: making new stuff is faster. It often comes with the side effects of weight classes being indistinguishable and all non-humans looking ridiculous though. Poor Charr. The amount of armors that completely clip over their tails is almost unbelievable. They said that armors were so expensive that they were reserved for expansions. However if they’re not going to have expansions then they should definitely release one set of one weight with each Living Story episode. Of course the players with the other weights will complain but I agree with you that would be a good compromise. If they didn't change the models from males to females that much it would be much less work too, but they insist in making completely different looking armor for both genders, giving themselves twice the work. They alread did release two armor sets with three weights each in Season 4, so I assume they are good for this 6-episode season in your book . Subscriptions have nothing to do with it. MMOs in general have moved away from the subscription model, not because the studios felt generous but because the alternatives are more profitable. And many of those have armor sets of multiple weights. That said, the decision to go with outfits is obviously a business one. Outfits are cheaper and faster to make. And since gem store gets updates more often than in-game, it's much easier to keep up with the schedule making outfits than 3-weight armor sets. MMOs have moved away from subscription models? Really? I find that difficult to believe. Subscriptions have A LOT to do with it because games that are financed by this type of business model will have a more consistent (and mandatory) cash flow. They may do, but I don't have any human characters so I'm not sure. I was agreeing with you at the start and thought, i would probably feel different about outfit if they were unlockable behind collections and achievements. Of course i prefer armor set made of several parts that you can change, but if the dev say this is way to much work because of clipping and outfits are the solution, at least dont put those incredible outfit in the store and leave the 'meh' armor as rewards for achievement and collection. We just got two new full sets of armor the last episode. I still don't know where I can preview those or how they are called... Help appreciated. to be honest I find mostly all of those outfits really horrible, but to each their own. Yes, they have. There are various lists online but I picked Massively since they specialize in MMO coverage. From that top ten only two are subscription based, with WoW being one of them. F2P/B2P draw with MtX has been proven to be more profitable than traditional sub-based models. That's why even the two subscription games on there have added cash stores. Microtransactions are a golden goose, unlike anything the industry has seen before. To go back on topic, I'm fine with outfits instead of armors in the cash store, it makes sense with the pace of new set releases there. I 'd like more armor sets in game though. I don't mind outfits, they are very well detailed and can be good for creating some unorthodox looks (e.g. heavy/medium armor themed outfit used on a light armor class and vice versa). However, their drawback for me is that in many cases there is some part of the outfit that I dislike. Then there is also the clone effect, I don't want to look the same as a hundred other players using the same outfit as I. The ability to mixmatch armor pieces allows us to create more personalised looks for our characters. I just wish they would create new cultural armor sets. 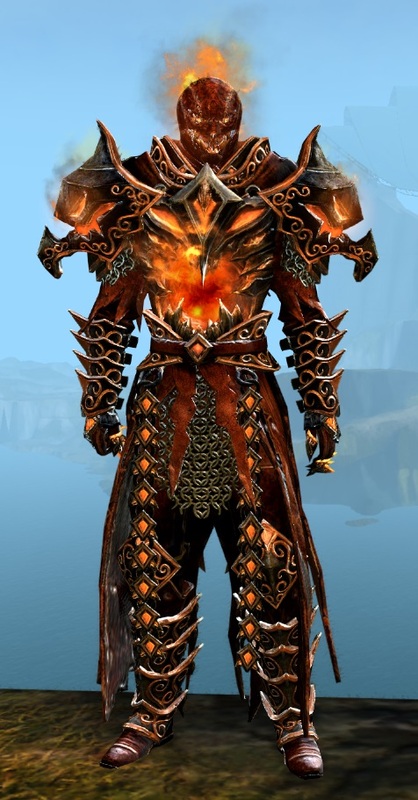 I really like mixmatching, but sadly you don't have much option with sylvari armor. Most of the new outfits and armors are designed for humans. At least make more cultural-themed outfits for the other 4 races (though actual armor pieces would be better still). I'm glad we get armor through the game rather than with gems.